Easter celebrations are on the way! And, for many businesses all throughout Canada, that means that doors will be closed for portions of the upcoming long weekend. Good Friday, for example, is a day when most stores won’t be open. But, for restaurant owners, a holiday long weekend just means business as usual. Check that – a holiday long weekend actually offers ample opportunities for business to pick up! The upcoming Easter long weekend is no different. It’s a time when families enjoy getting together for big meals. So why not put some extra efforts into growing your restaurant’s sales this Easter? Doing so is easier than you think! 1. Host an Easter egg hunt for the kids. As we noted, Easter celebrations are often family-oriented. By welcoming families to your restaurant, you will maximize maximizing your number of Easter long weekend patrons. Naturally, Easter egg hunts are popular activities for children during this particular holiday. Host one at your restaurant and be sure to advertise it online. Utilizing your social media accounts to promote your Easter egg hunt will be especially beneficial. 2. Offer an all you can eat buffet. There are few things more enticing to restaurant patrons than the ability to eat all that they can. You may not usually offer a buffet at your restaurant, but this Easter weekend would be a good time to try it out. On Upserve.com, Holly Everett suggests you offer up a brunch buffet to draw in crowds this Easter. 3. Advertise your Easter promotions on social media. As we mentioned earlier, utilizing social media to market your upcoming Easter promotions will be a very beneficial practice. Allow us to remind you just how popular Instagram, Facebook and Twitter continue to be. 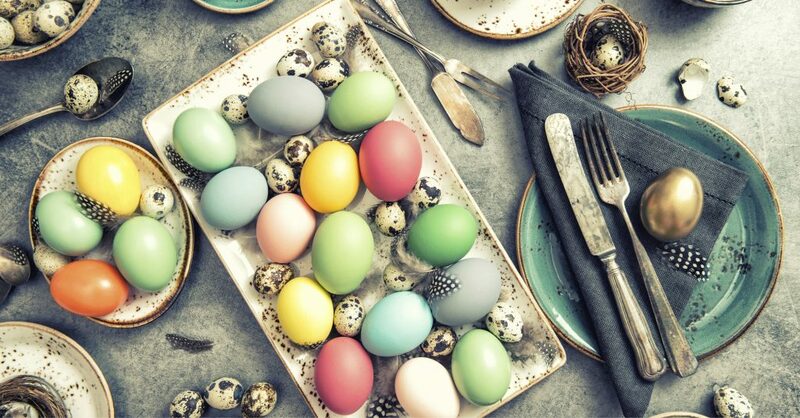 Don’t neglect these platforms as they’ll help you to quickly spread the word about your restaurant’s Easter specials without any cost to you! At Canadian POS, we highly recommend the Poynt Smart Terminal to restaurant owners. The completely wireless device delivers an incomparable all-in-one payment and marketing solution for small and medium-sized businesses. For more information, please don’t hesitate to call Canadian POS at 1-877-748-2884 or email us at info@cdnpos.com. Happy Easter!